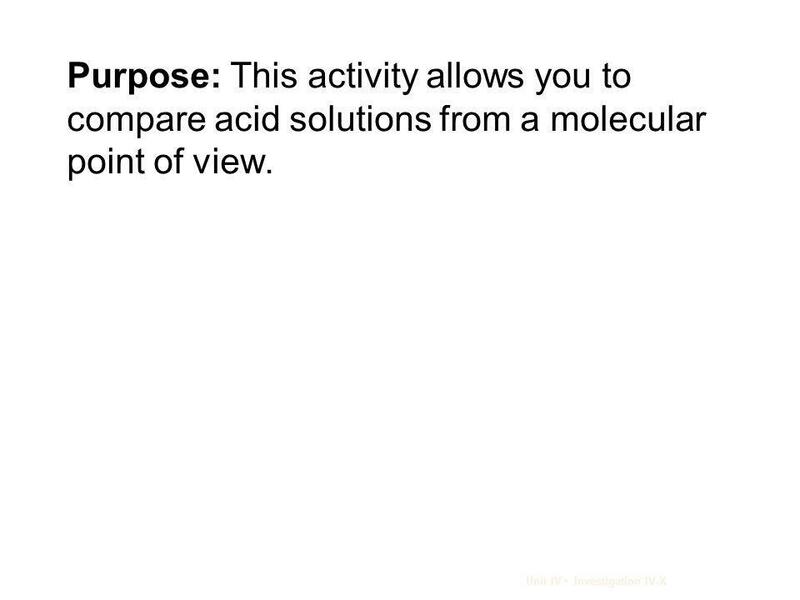 3 Purpose: This activity allows you to compare acid solutions from a molecular point of view. 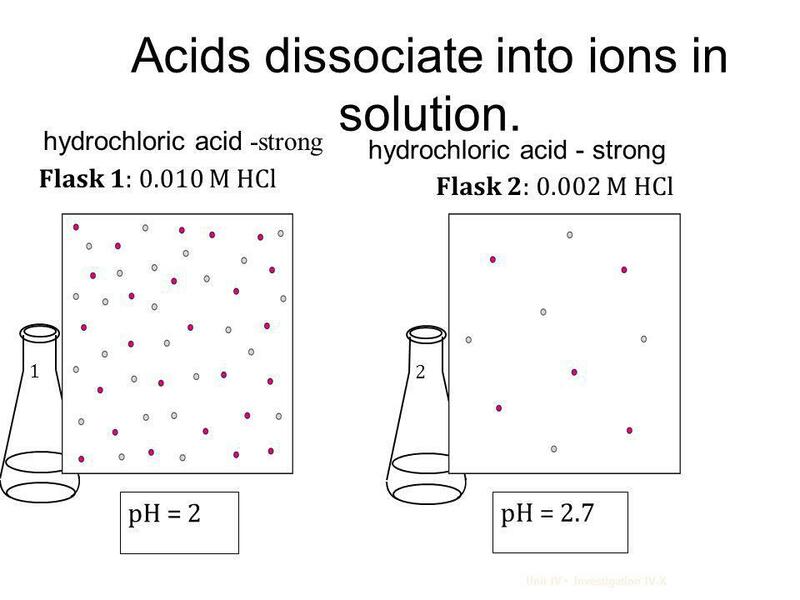 5 Acids dissociate into ions in solution. 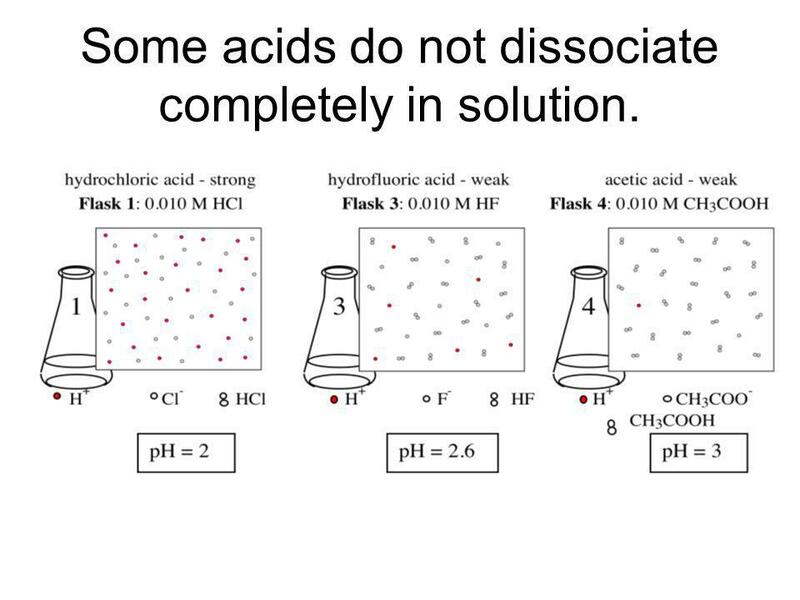 6 Some acids do not dissociate completely in solution. 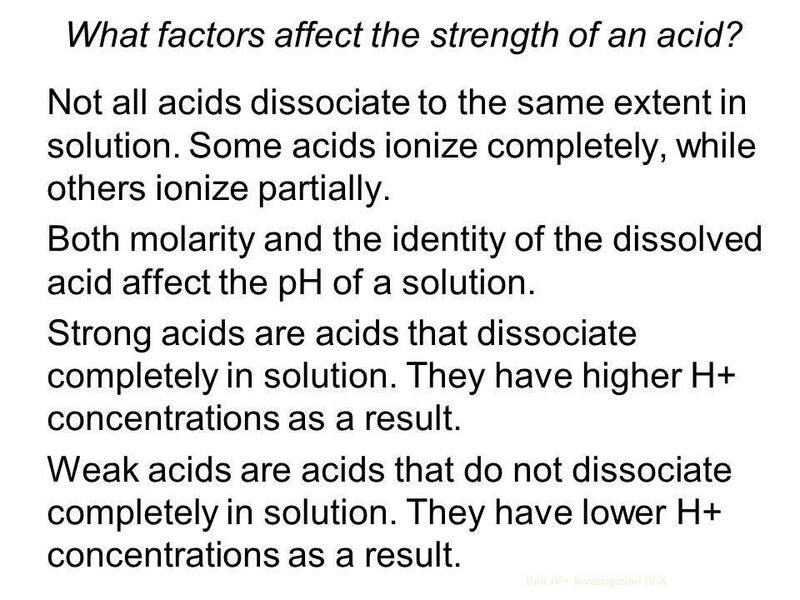 9 What factors affect the strength of an acid? 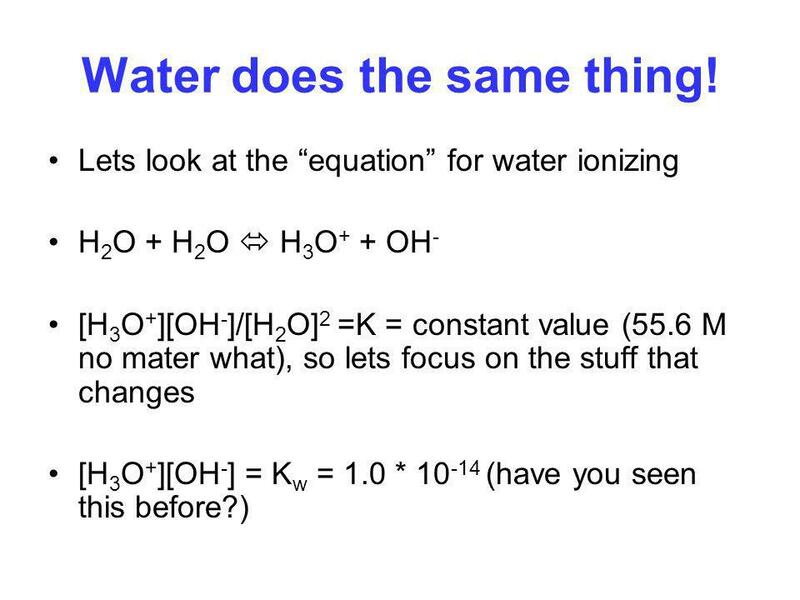 11 Water does the same thing! 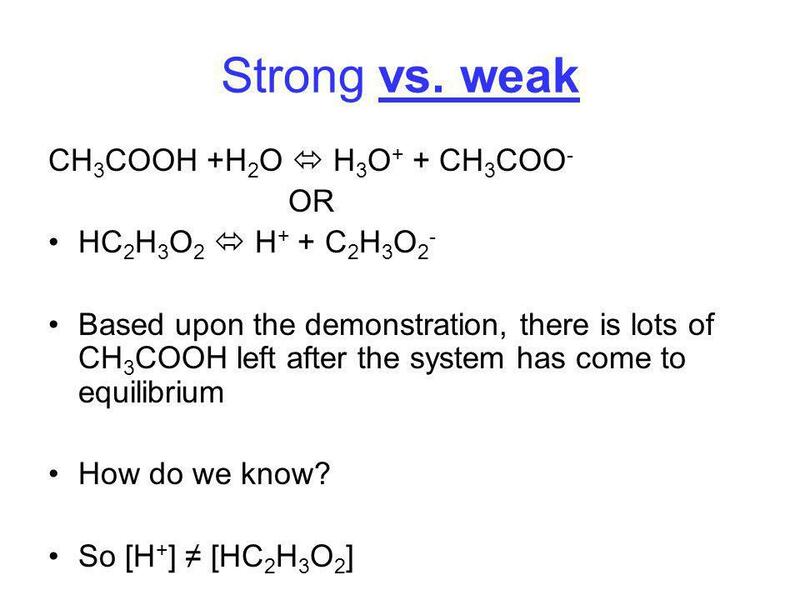 Download ppt "Strong or weak? 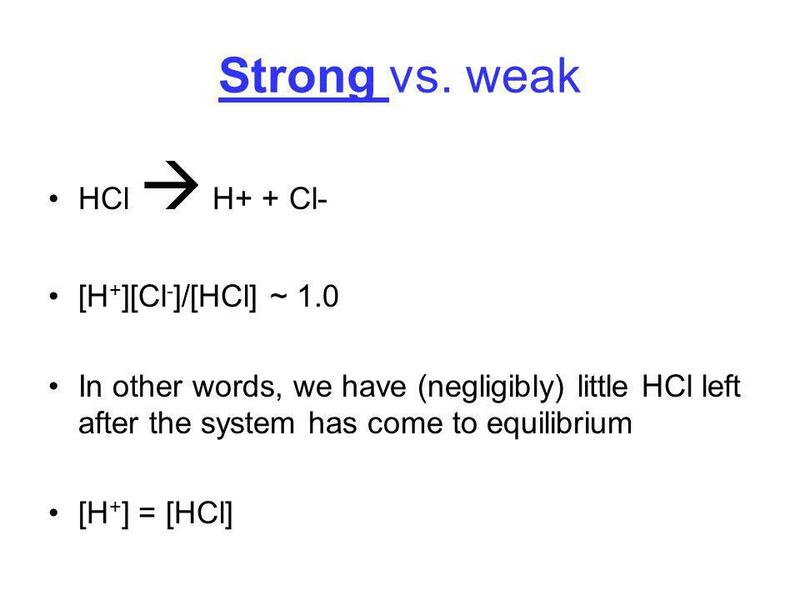 Acid base equilibrium"
Strength of Acids and Alkalis By SK Chan. 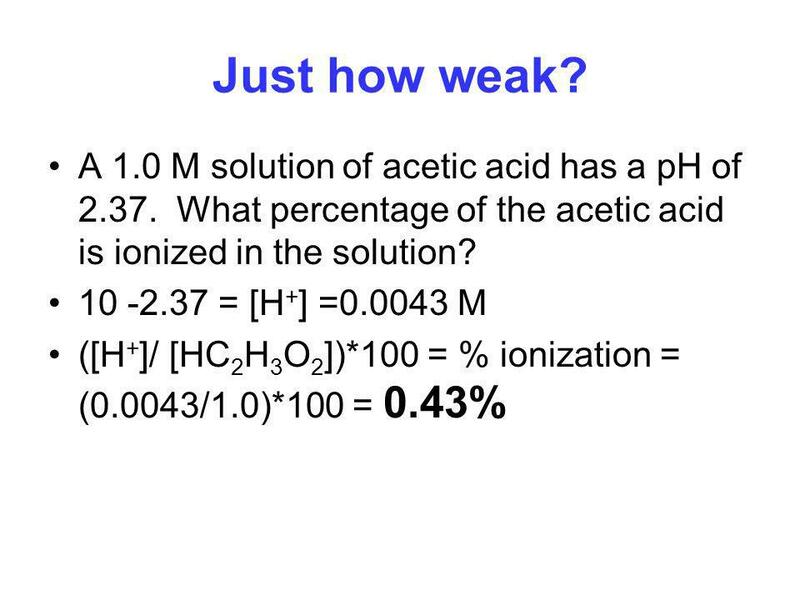 Why do acids/alkalis show different properties? 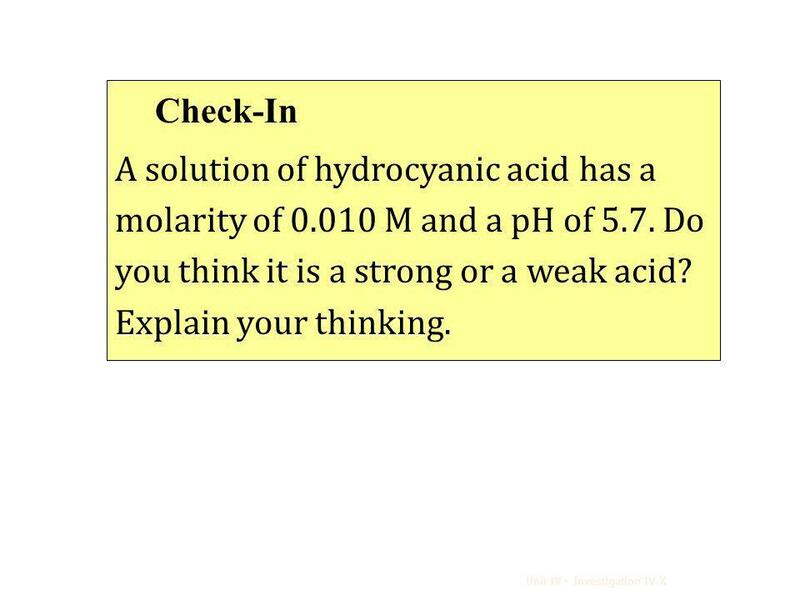 Acid/AlkalipH value Electrical conductivity 0.1 M Ethanoic acid4Low. Acids and Bases Chapter 13. 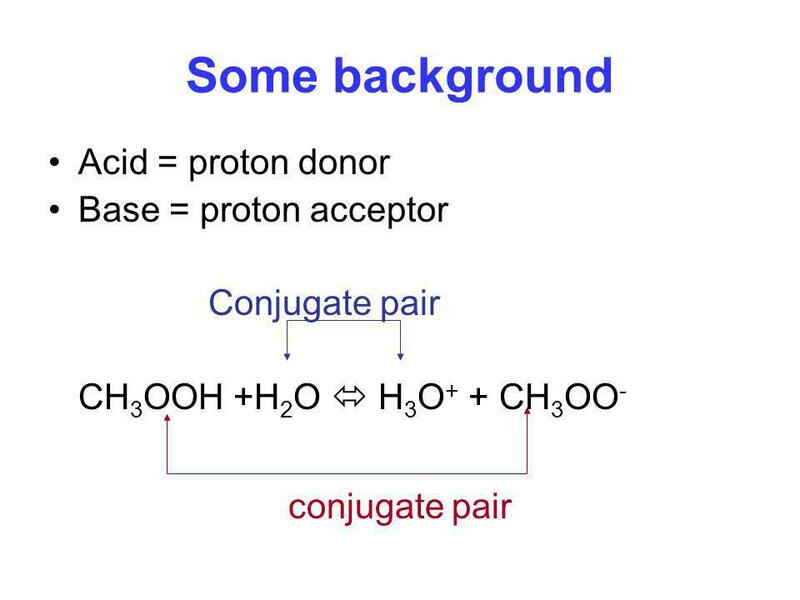 Daniel L. Reger Scott R. Goode David W. Ball Chapter 15 Solutions of Acids and Bases. 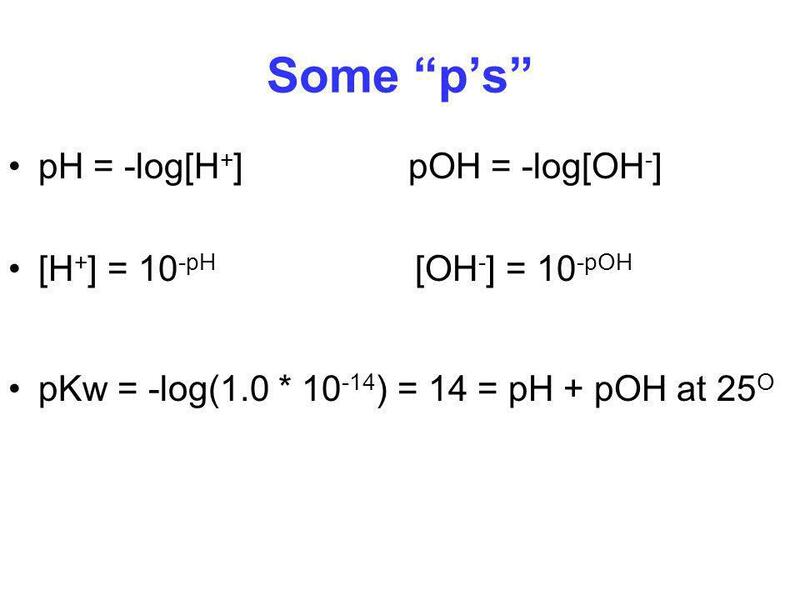 PH (potential of Hydrogen). 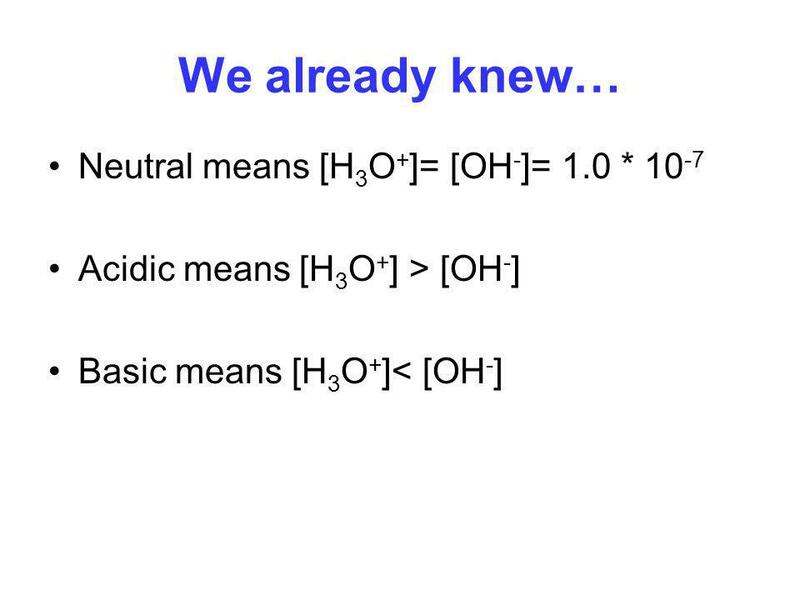 According to the Bronsted-Lowry theory, both acids and bases are related to the concentration of hydrogen ions. Acids will. Ch. 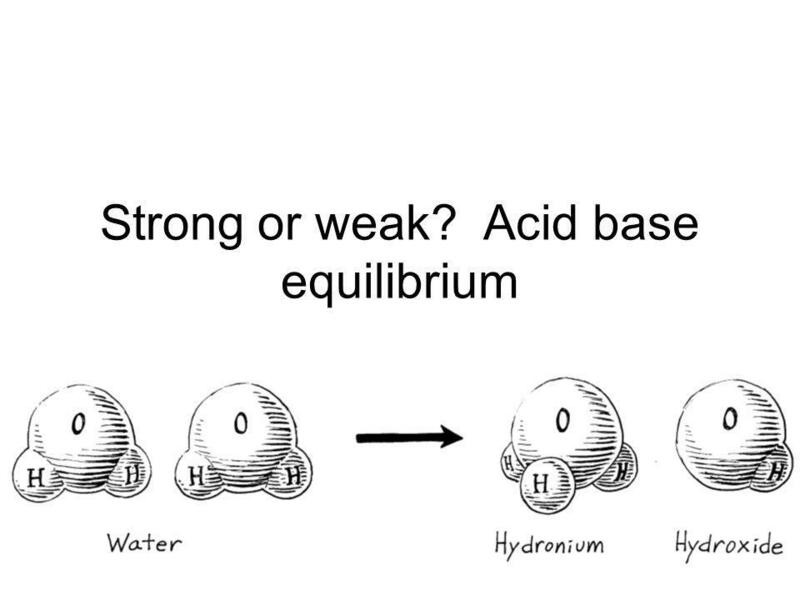 16: Equilibrium in Acid-Base Systems 16.3a: Acid-Base strength and equilibrium law. 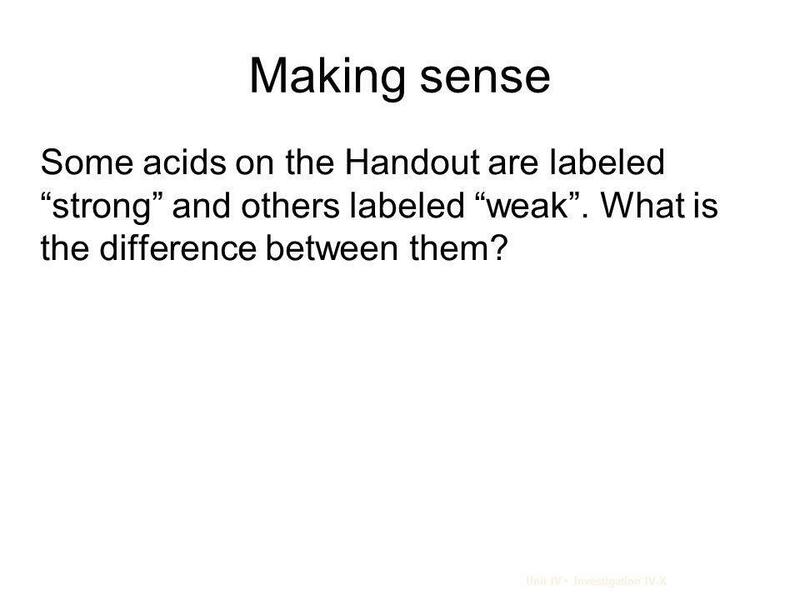 Ch.15: Acid-Base and pH Part 1. 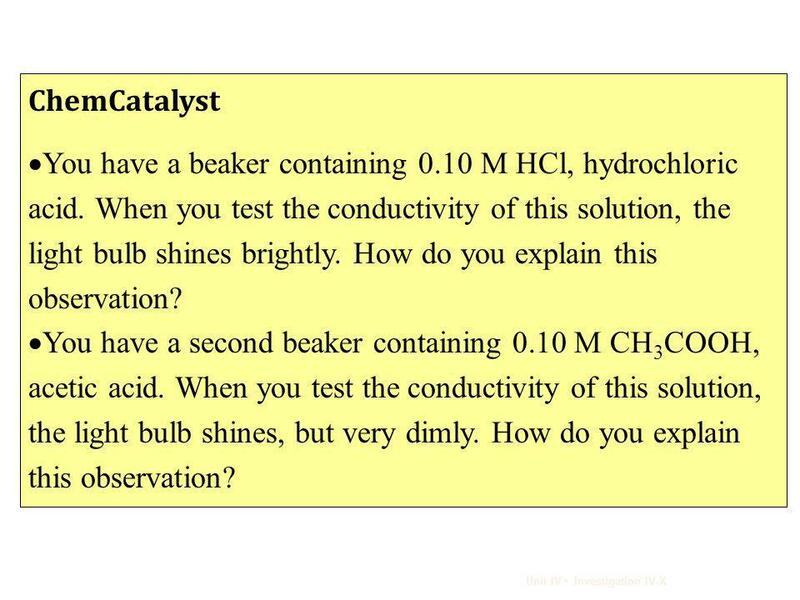 Acids, Bases, and Salts Chapter 19. 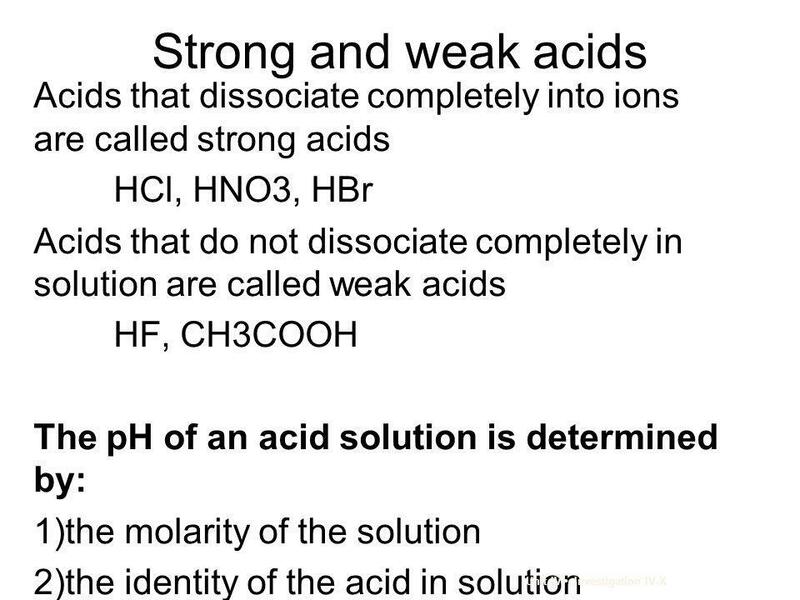 Strong Acids Strong acids fully dissociate so: They are fully separated into their ions They are good conductors of electricity Are not in a state of equilibrium.